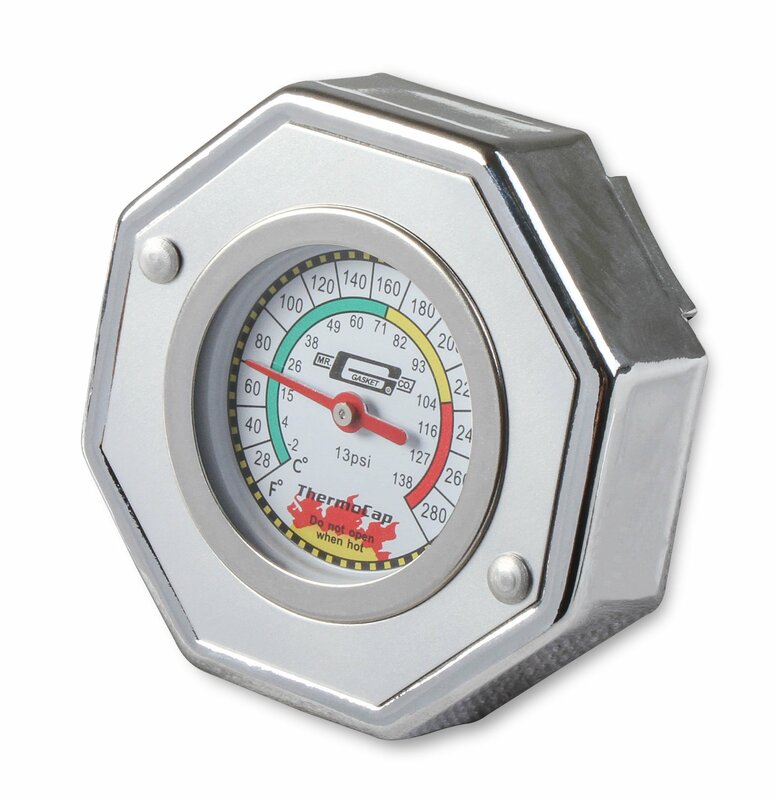 The fastest, easiest way to know exactly when it's safe to open your radiator cap. 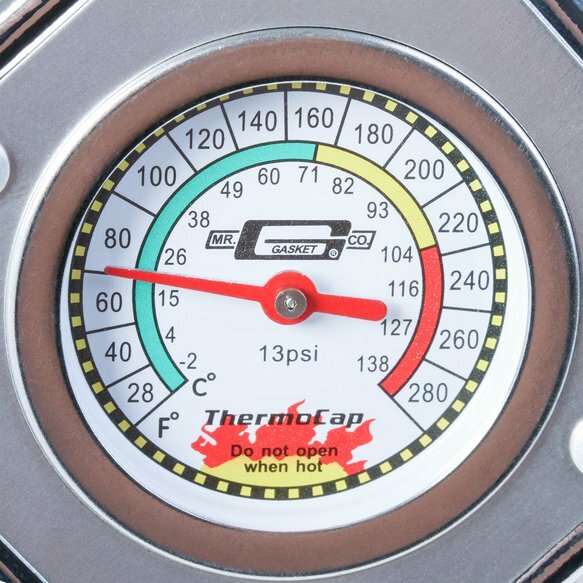 ThermoCap, with its built-in calibrated thermometer, indicates the coolant temperature. 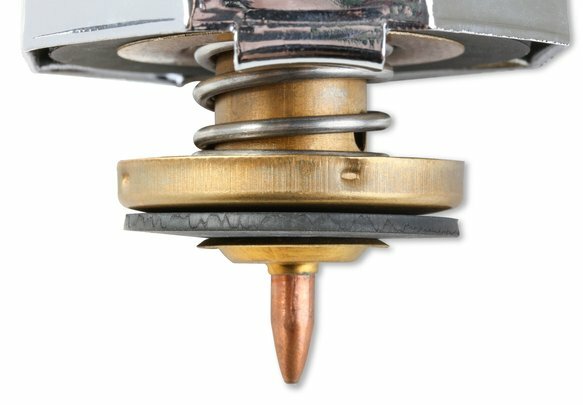 Fits most domestic AMC, GM, Ford, Jeep, and Chrysler 4, 6, and 8 cylinder radiator's 1955-93.